Contact: Mary - E-mail or leave a voicemail. Holidays: Major holidays and summer break. 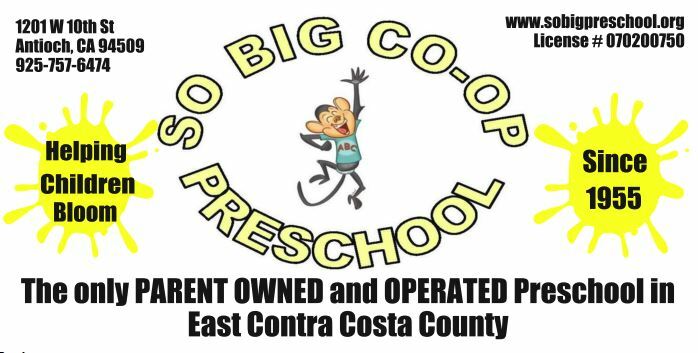 Registration Fee: $70, non-refundable; includes 1 background check for the parent who will be working in the classroom (additional background checks $15 each) and 1 So Big Co-Op Preschool t-shirt for the child and 1 for the parent. Fall Classes Now Forming!! Please call the above number for a registration packet and to schedule a school tour. 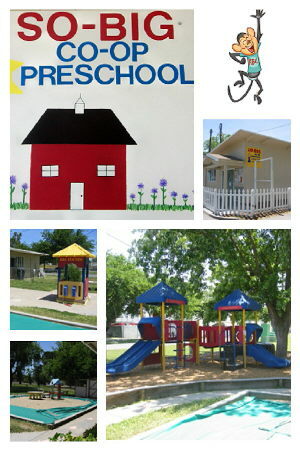 Relaxed, supportive, play based & culturally diverse environment. So Big parents volunteer in the class room on the average 3 times per month, as well as participate in the operation and care of the school. While parents enjoy assisting and learning about the program in operation, the children enjoy seeing their parents as an important part of their school world.